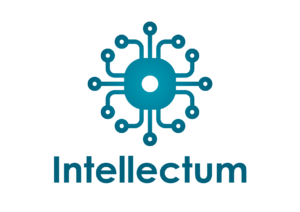 Intellectum® is a framework composed of a group of processes supported by a data intelligence platform, created for data processing using programmed logic operators and machine learning (ML), It considers the operationalization of the complete process and the use of Robotic Process Automation (RPA) during data collection, ETL and action plans based on results. The Intellectum® framework processes provide value added to the standard data and business analytics life cycle. The impact starts before data collection and ETL, identifying business objectives and finding information sources as well as the variables needed for the analysis. Our scientists will use your data and work on identifying the best models, this selection is based on best practices, experience, statistical, and technical parameters such as margin of error as well as contextualized optimization. The work is not finished until results are analyzed and contextualized to the business objective, with the outcome of findings, strategies and action plans. We created this framework to efficiently apply data science concepts to any data related business project. Mapping Intellectum® to your business problem accelerates the realization of business benefits that data analytics brings, from inception, modeling, prediction and finally taking the findings into actionable actions in operation. Listen to problem statement from the business. Interview stakeholders / interview business SMEs (Subject Matter Experts). Collect data from all sources. Provide ideas / Actions – Business Consulting. Explore the business value of the challenge. Data and Predictive Model creation. Data and Predictive Model evaluation. Data and Predictive Model review and continuous improvements. Operationalize Regular Reporting and Dashboards. Findings of Business Value Process. Governance plan of Business as Usual (day to day).